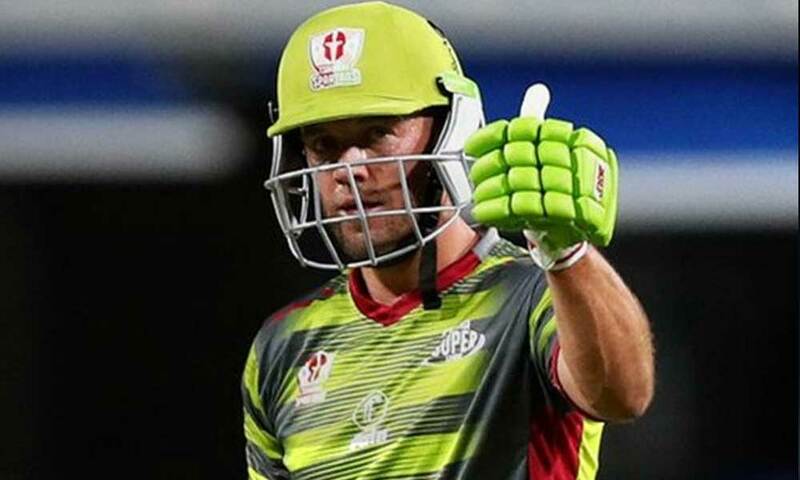 Home Sports PSL 4: AB de Villiers Will Not Play Matches in Pakistan! Update: Due to a sustained back injury, AB de Villiers will not be able to rejoin with his squad in Pakistan. AB was to return to play 2 matches for Lahore Qalendars, but doctors have advised him to rest. It’s disappointing news for Lahore Qalandars management and its fans that AB de Villiers will not be able to make it for Pakistan’s leg of PSL but we wish him a speedy recovery. He is a wonderful player and an amazing person – Sameen Rana, the manager of Lahore Qalandars said in a statement. I am very disappointed that I will not be able to play in front of the passionate Pakistani cricket fans. I saw my doctor who has advised complete rest for two weeks and, unfortunately, that rules me out of the games in Karachi. I hope to be a part of the HBL PSL next year and very much hope to play my part in the return of international cricket to the country. I am backing Lahore Qalandars to go all the way and win the trophy this year. South Africa’s legendary player, AB de Villers has agreed to play Pakistan Super League-PSL 4 matches in Pakistan! The powerhouse who is a part of Lahore Qalanders in the 4th edition of the game announced this news on Monday. PSL 4 starts next month in the UAE before it heads off to Pakitan for its last 8 matches in Karachi and Lahore. Karachi will host the final. Franchises are doing everything in their power to ensure that the foreign players come and play in the country. Star-cricketers like AB de Villers saying yes to play in Pakistan comes as an assurance and a sign of hope that other players will also agree to visit. In a video message, he shared how happy he was to be a part of the Lahore Qalandars team and how he is looking forward to the tournament.